The South Winnipeg–St. Norbert ward is essentially being divided into two wards due to tremendous population growth. Many of you know I’ve been struggling to keep up with e-mails and phone call responses to all constituents since being elected in 2014. 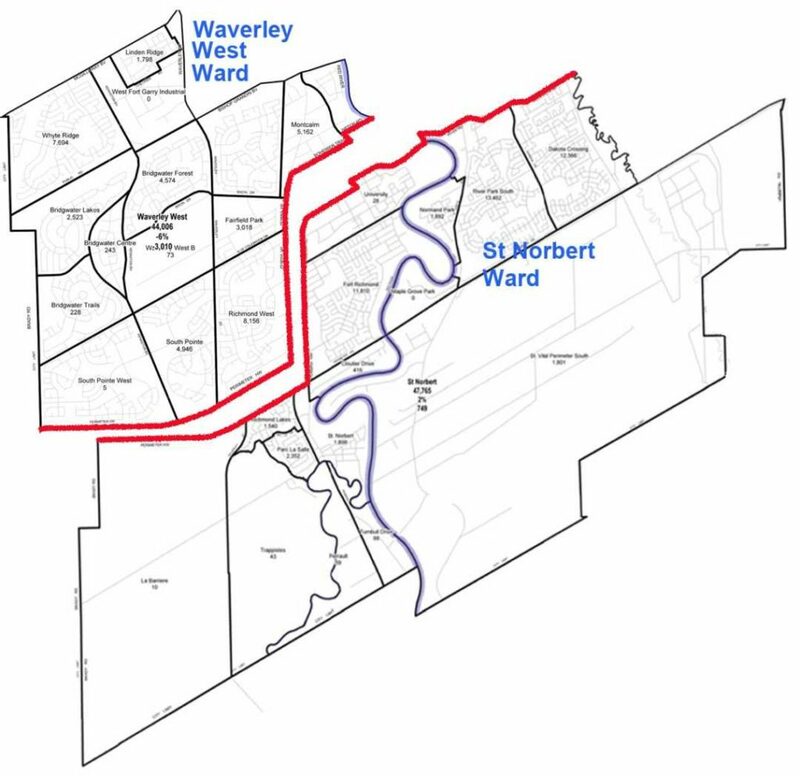 Dividing the current ward into two new wards (Waverley West and St. Norbert) will enable much better representation for citizens and basic electoral fairness. 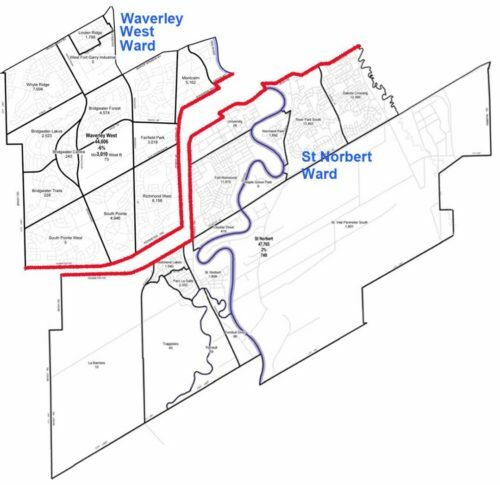 The revised ward boundaries and ward names will come into effect on September 17, 2018. The next civic election takes place in October, 2018. WHY ARE THE BOUNDARIES CHANGING? Winnipeg has experienced significant growth and changes in the distribution of its population, as evidenced by Statistics Canada’s 2016 Census of Population. These growth trends are expected to continue. At present, there are major differences in ward populations, with Winnipeg’s largest ward of South Winnipeg-St. Norbert having 68,112 citizens. This is more than double that of the St. Charles Ward which has 32,171 citizens. These differences pose challenges in terms of ward size, service issues, citizen representation and basic electoral fairness. On February 24, 2016, City Council directed the Winnipeg Public Service to establish a Wards Boundaries Commission in 2017, working with Statistics Canada to ensure that the data from the 2016 General Census was available to the Commission for its proceedings. The Commission was convened in accordance with the requirements of the Charter and Council’s direction. The Commission’s focus was to establish constructive, workable, and durable ward boundaries for the future, within the existing number of wards. See complete details, maps, populations and future population projections on the 2017 Wards Boundaries Commission web page. As Councillor for the area, dividing the current ward into two new wards presents a dilemma. If I decide to run again in the 2018 civic election, I must choose which ward I think I can best provide representation for. I plan to discuss this with my family over the holidays and will be announcing our decision early in the new year.